Autumn Blaze® maple is a fast-growing tree with brilliant fall color. If you want a large, fast-growing tree with spectacular fall color, Autumn Blaze® maple is an excellent choice. This dependable selection of Acer x freemanii (‘Jeffsred’, P.P. 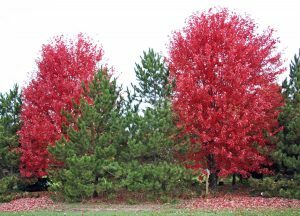 No 4864) – discovered by nurseryman Glenn Jeffers in the late 1960s and introduced in 1982 by Poplar Farms, Inc. of Batavia, IL – is a hybrid of red maple (A. rubrum) and silver maple (A. saccharinum), both native to the Eastern and Central US. 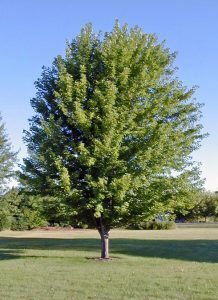 This hybrid combines the best features of both parents: it has the vigor and adaptability of the silver maple along with the beauty and strength of the red maple. Although the Freeman maple cultivars sold in commerce were created from controlled crosses, hybrids between red and silver maples also occur naturally in the wild. This tree will grow in a wide range of climates from Wisconsin to central Florida, and is hardy in USDA zones 3-8. Autumn Blaze® is one of the most popular hybrid maples in the US and is also very popular in Australia, New Zealand, Canada and France. Autumn Blaze® maple grows 40-60 feet tall. Like its silver maple parent, Autumn Blaze® grows quickly. The growth rate of this cultivar is about four times faster than that of a red maple. 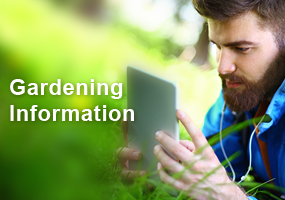 Under optimal conditions it can grow 3 feet or more per year. Eventually it will grow 40-60 feet tall and 40-50 feet wide. At maturity it will have an oval to rounded crown with ascending branches and a well-defined central leader. This tree is not as susceptible to storm damage as silver maple because it has superior crotch angles and a well-balanced branching habit (inherited from its red maple parent) but still has the weaker wood characteristic of the silver maple. It grows in a very uniform shape, so requires little, if any, pruning. If a tree needs pruning, avoid doing this in spring, as the tree will lose large amounts of sap. The shallow root system may surface with age. The opposite, simple, 4-6 inch long leaves are deeply cut with five palmate, pointed lobes with irregularly toothed margins. The petioles may be red or green, with more color developing where the foliage gets more intense sunlight. In the spring the smooth, glossy leaves have a reddish tint, while the summer foliage is a medium to dark green color on the upper surface and a silvery underside. The deeply cut palmate leaves are a medium green (L), with a silvery underside (C) and often red petioles (R). Leaves turn a brilliant red-orange in fall. Autumn Blaze® maple has some winter interest, with an upright oval form and reddish color to the new growth. The leaf veins are often red to reddish green, and most noticeable on the underside. In the fall Autumn Blaze® consistently develops brilliant, long-lasting orange-red color. This intense, vivid color, as well as its rapid growth rate, is the main reason to plant this tree. It also has some winter interest, with the new growth retaining a reddish color after leaf drop that persists until the following season and red buds. 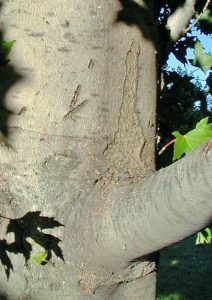 The trunk has smooth, thin, gray bark that becomes slightly furrowed with age. Freeman maples trees largely sterile. The inconspicuous red or green flowers, if present at all, are produced in dense clusters at the ends of one year old branches in spring before the tree leafs out. Some trees have both male and female flowers, while others have only male flowers, and others none. Autumn Blaze® was originally thought to be a male tree, but has produced fruit in some cases. Many cultivars produce no fruit; if fruit is produced it is a samara – a winged nutlet produced in fused pairs. If it blooms at all, this maple flowers in early spring before leafing out (L), with inconspicuous red or green flowers in dense clusters (LC and R) which may be female, male, or both (RC). With its distinct upright oval form, Autumn Blaze® is excellent as a specimen planting, but can also be used in groups. Because of its size it is most appropriate for the larger yard, commercial landscapes and parks (other cultivars, mentioned below, are more appropriate for smaller properties or as street trees). Its thin bark is easily damaged, so it’s best not to use this tree in high pedestrian traffic areas. It can even be used in rain gardens (large ones), as it tolerates both wet and dry soils. The bark of Autumn Blaze® maple is rather thin and damages easily. with brilliant fall color. Plant this cultivar in full sun for best fall color. Autumn Blaze® is very adaptable to a wide range of soil conditions. It tolerates clay soil, and will withstand wet soil conditions and drought. It is not tolerant of high soil pH, though not as sensitive as red maple. 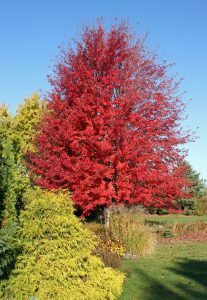 Consider it for a site that isn’t right for red or sugar maple, or as a more colorful alternative in place of silver or Norway maples. This cultivar is readily available in B&B or bare root for planting in spring or fall. 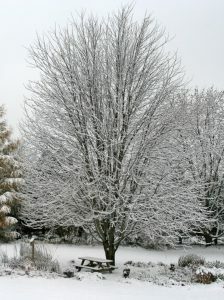 Because it is thin-barked, it is susceptible to frost cracks and sunscald, so it is recommended to protect young trees with tree guards during winter. Autumn Blaze® has fewer problems with leafhoppers and verticillium wilt that adversely affect some slower growing maples. 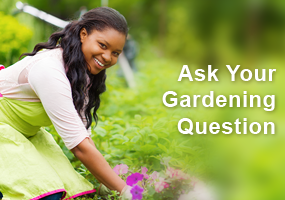 Since it’s a seedless cultivar, you won’t have to worry about weeding out thousands of seedlings. There are several other selections of A. x freemanii, including the following. Cultivars are sometimes listed for sale as A. rubrum instead of A. x freemanii. ’Armstrong’ – is a narrow tree with ascending branches and inconsistent orange-yellow autumn color. It can grow 50-70 feet tall, but only spreads 15-20 feet. Because of its strongly upright growth habit it is often used for street planting (but not under power lines). Autumn Fantasy® (‘DTR 102’ PP7655) – grows to 50 feet tall and 40 feet wide with a broadly oval shape. The larger leaves consistently turn deep, ruby-red in autumn even in warmer climates. Celebration™ (‘Celzam’) – is a fairly compact, pyramidal tree reaching on about 15 feet high and wide, with red and gold autumn color. It can be sheared to use as a hedge. Firefall™ (PP 15593) – is a cross of ‘Beebe Cutleaf Weeping’ silver maple and ‘Autumn Spire’ red maple (PP 7803) released by the University of Minnesota. Growing up to 60 feet tall and 40 feet wide with an upright, oval form, and exceptional cold hardiness, this seedless cultivar with deeply cut foliage turns orange to scarlet early in the fall, so is well suited for northern areas. Matador™ (‘Bailston’) – this First Editions® selection is a smaller upright to oval tree, growing only about 45 feet tall and 40 feet wide, with deep red to orange red fall color. It colors later than many other cultivars and drops its leaves late in the season. Indian Summer™ (‘Morgan’) – is an extremely vigorous cultivar that was selected at Macdonald College in Quebec. It has good orange-red to bright red autumn color even in mild climates. ‘Marmo’ – is a selection from the collections at The Morton Arboretum with an upright, oval crown with a strong central leader that grows 40-70 feet tall with a spread of 35-40 feet. The autumn color is a blend of red and maroon with some green. 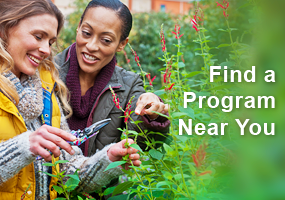 This seedless cultivar with resistance to frost cracking is a Chicagoland Grows® introduction. Scarlet Sentinel™ (‘Scarsen’) – has yellow-orange to vivid red autumn color and an upright habit making it useful as a street planting and in parking areas. Sienna Glen® (‘Sienna’ PP11322) – this selection with a strong central leader that grows 50-60 feet tall and 35-40 feet wide with a rather pyramidal shape was discovered in Minnesota. The foliage turns yellow, rusty orange, and burgundy in fall. I am looking for trees for wildlife. This tree is beutiful but with no seeds and few if any flowers it provides virtually no wildlife benefit. The leaves are from native strains so perhaps it is still a host for insect larvae which is a good thing. My friend who is a beekeeper said that Red Maples are a good source of early nectar but without flowers this cross is not. We all plant for different reasons but the wildlife value of plants is so important and home garders really can make a difference. The most informative post you have shared on this page about the fiddle leaf fig and I was planning on buying a few after we move in. But when a friend told me she is pruning her huge Fiddle Leaf Fig tree, I just have to try and see if I could grow some from her trimmings. Very good article. The Autumn Blaze has several things going for it: the gorgeous color in the fall and that its uniform shape. I can attest to the fact that its need lot of space. Too many in my neighborhood had to be removed and relocated because of space issues. Home builders often plant trees to get the fast growth but aren’t around to deal with overgrowth. I learned from this article that the Autumn Blaze was a cross between the Red Maple and Silver Maple. My tree is three years old and grew exception for the first two years, in the spring of it’s third year, the bottom leaved out good, but, the top half was completely dead. I cut the top out and the bottom half has grown well but the leaves are yellowish. Does it need Iron ? My Autumn Blaze of 10 years produced seeds this year. My question is are those seeds sterile or do I have to worry about sprouting trees? Does the autumn blaze tend to leaf out later than other trees? We have planted two and neither have produced leaves, even as we’ve entered into warm spring weather. Surrounding deciduous trees have leaves as of early May. this will be in my new yard ! Our Autumn Blaze trees seem to not be as dark green in the summer and don’t turn red, mostly yellow and brown with some orange and minor red tints. They are about 12 years old and have done well, grew quickly. I believe they grow so fast that the soil may not have provided enough iron, maybe they are anemic? Contact your local Extension office and they can advise you on whether the weather in your area likely is contributing to this or if it is a problem. My Autumn Blaze Maple faithfully produces good fall color year after year. It was blissfully seedless for the first 10 years or so, but now produces a crop of helicopters every few years or so. Interesting…on the MN website (referenced for Freeman Maple) it refers to the hybrid happening in nature is “hypothetical.” Has it ever been documented in WI? It looks like a beautiful tree, and one I would consider for future planting. Sounds like a beautiful tree. We have a silver maple tree that we planted and I get tired of cleaning up all the thousands of seedlings it plants everywhere every spring. This tree sounds perfect and the Autumn Blaze Maple would look gorgeous in my back yard. We have enjoyed great color and rapid growth with our Autumn Blaze maple, however, with it’s limbs are very upright, we have lost significant limbs which have ripped literally one half the trunk system during two separate wind storms over two consecutive summers. An arborist suggested it would happen a 2nd time due to the crotch angle of the next subsequent sets of limbs. We didn’t prune as he suggested, and the lost branch/tearing of the trunk happened during another wind storm. Live and learn! The tree is desparately trying to heal itself from all of these tears. Aborist indicated this is not unusual with hybrids. Beautiful tree, though, I hope it survives in spite of the injuries.